Arctic Trucks is originally an Icelandic company that has expanded its operation to other countries with a diverse range of products and clients. Our largest market for “extreme logistics”, products and services is Antarctica. All our operations there are planned and controlled by Arctic Trucks UK Ltd. The activities are carried out in full compliance with the provisions of the Antarctic Treaty and the Environmental Protocol. We apply each year to the Polar Regions Department in the United Kingdom’s Foreign and Commonwealth Office (FCO) for the appropriate authorisation for these activities. 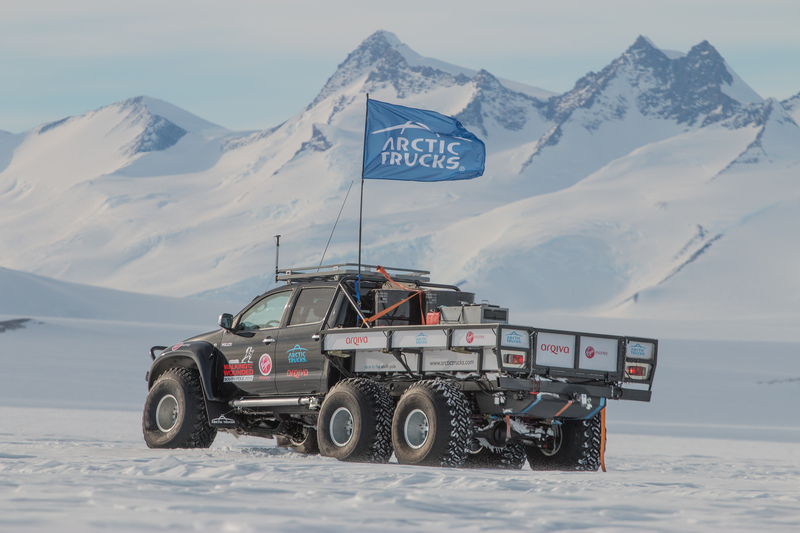 As well as an important legal requirement, this grants Arctic Trucks access to FCO experience, guidance and the possibility to organize its own projects in Antarctica.  Arctic Trucks UK has joined IAATO, the organization for tourist operators in Antarctica. IAATO brings wealth of experience and guidelines for non-governmental operators to operate in Antarctica high respect for the environment and safety of its passengers. We are pleased to work under the FCO regulatory umbrella and as a member of IAATO, we collaborate for the common good of the region. 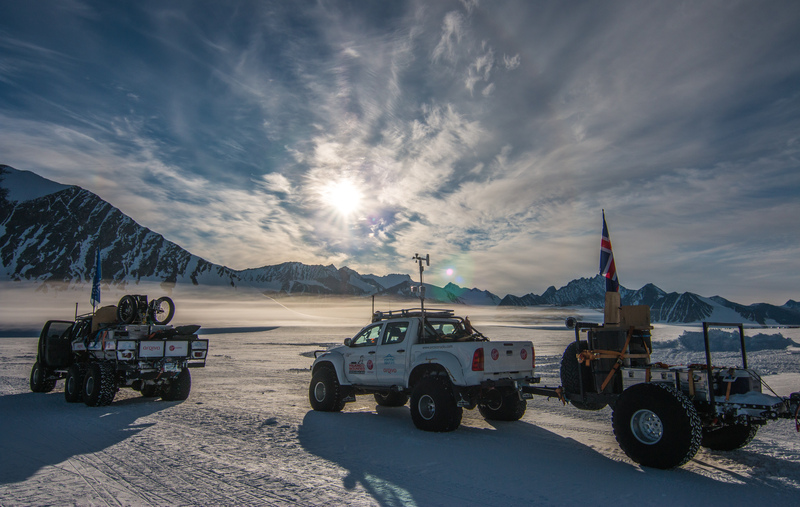 Since 1997 Arctic Trucks has been behind or involved in expeditions in polar regions outside of Iceland. The first international expedition was with a Swedish scientist to Antarctica during the season 1997/1998 undertaking various logistical support activities along the coast including ice scanning and ice drilling support on the plateau.